Charles Mark Rochlin, commonly know as Charley, was born on September 14, 1985 in Westport, CT. He attended Coleytown Elementary and Coleytown Middle School. Hockey was his main passion in life since he was six years old. Playing on many teams, such as the Connecticut Yankees and Mid-Fairfield where he participated in one national championship. Charley attended Fairfield College Preparatory School in Fairfield, CT for three years. As a freshman, Charley made the varsity hockey team and participated in bringing home back-to-back state championships freshman and sophomore year. In between Charley's Junior and Senior Year, a severe hand injury kept him from playing hockey. During recovery Charley decided to finish his senior year in his hometown of Westport, CT at Staples High School and found a new loved sport – Golf. He worked at Longshore Club Park for many years where he was able to progress his golf skills. After graduation, Charley attended Norwalk Community College for two years then transferred to the University of Colorado at Boulder studying architecture. Charley decided to take a year off of college and move home. While home, Charley eventually picked up his love for hockey again, but in a different way. He became an instructor teaching young children how to skate at the Westport P.A.L. Ice Rink. 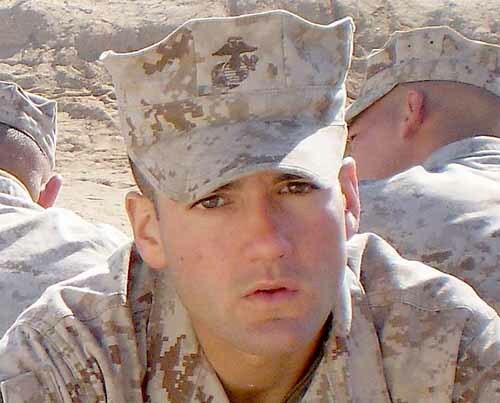 Charley then made the decision to pursue his dream of joining the United States Marine Corps. Charley leaves behind his mother and father—Lucretia and Scott, his three sisters—Brittany, Kendall and Taylor, and many others loved ones. With such a great tragedy comes a positive outcome – the Charley with a Y Foundation, Inc. This foundation is allowing Charley's name to live on and help many people along the way.